My yoga practice is probably best described as all or nothing. I can quite happily go through spells with lots of yoga and yet there are consistent gaps in my practice, where yoga seems to fall to the bottom of the list, sometimes for months on end. To be honest, despite loving yoga I remain easily seduced by the need for solid cardio in my routine. How can it be right that the exercise I love most always ends up at the bottom of the list?! As I started the year that I become 30 - eeeek - I made a pact to right this attitude. My favourite yoga teacher, George holds a weekly Thursday night class and my friend and I agreed to go - followed by dinner and wine! Don't get me wrong, there have definitely been weeks that I have gone more for the wine than the yoga, but my Mum has a saying 'whatever gets you through' and I'm sticking to it. In between weeks of trying to master the perfect headstand, handstand and forearm stand we decided to take it one step further, signing ourselves up to a... yoga retreat! Okay, okay, so 'retreat' is probably pushing it. We searched high and low to find a retreat that was NOT a detox and that served wine. I knew that after 4 hours of yoga a day I would definitely want some wholesome grub and a glass of wine to wash it down. 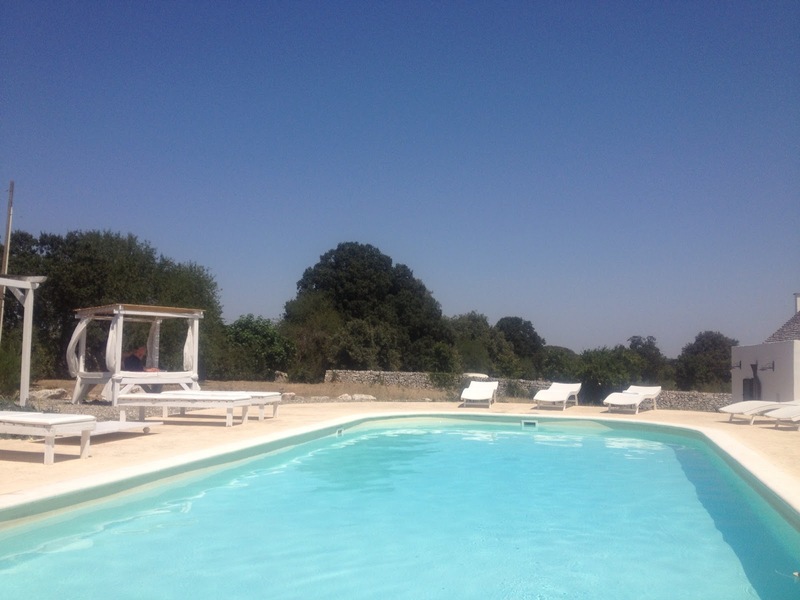 It was a tough ask but we came across Destination Yoga and La Rosa Dei 4 Venti in Puglia which perfectly met our needs. 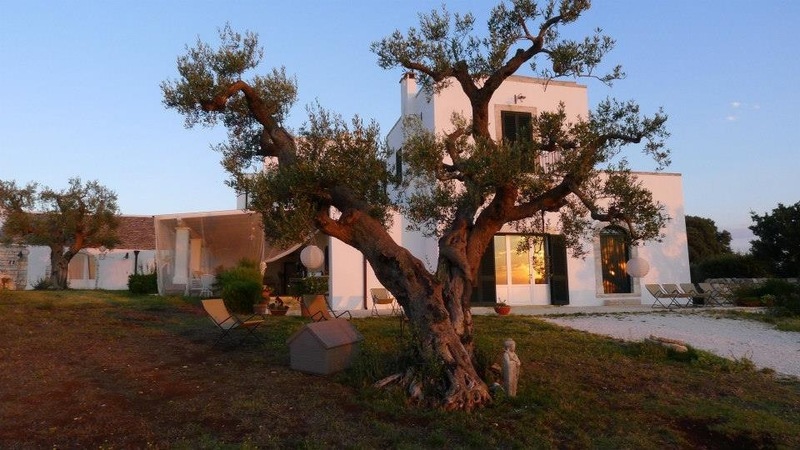 Calling itself a yoga and healing destination, not a boutique hotel, La Rosa Dei 4 Venti meaning 'the rose of the 4 winds' is quite possibly the most beautiful and serene place I have ever stayed. Family run by Gulia and her two sons, Marco and PJ there is a real sense of community. 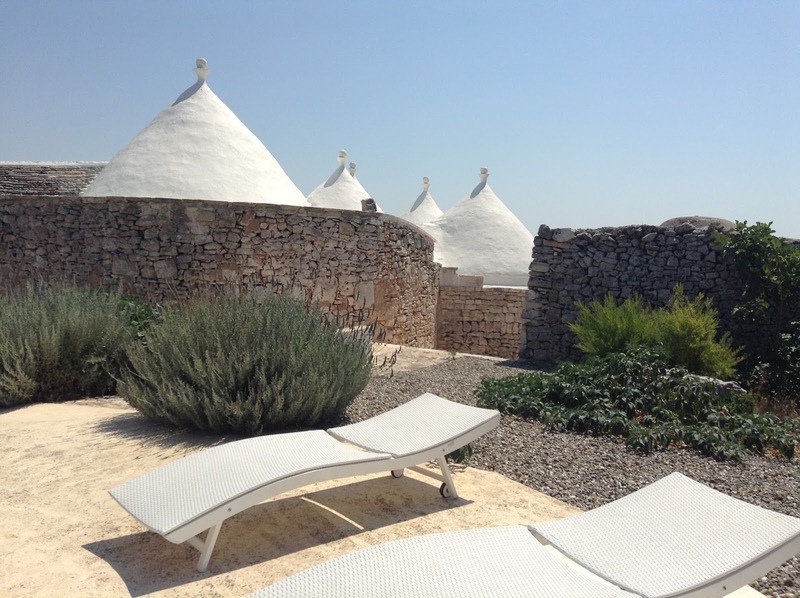 Just under 6 miles away from Martina Franca, the grounds are set in the rustic Puglian countryside with real 'Trulli', ancient huts with white conical roofs (super cute) adding something a little special to your poolside view. Its fair to say I was probably most concerned about whether I would get fed sufficiently over the week! The food described as vegetarian, organic and wheat free was surprisingly superb and not at all scary. Think homemade gnocchi filled with spinach and served with homegrown tomato and basil sauce, gazpacho soups of zucchini and mint, slices of cheese with truffle oil and homemade parmigiano. Bliss! The fact that it was PH balanced with no genetically modified food in sight was truly a miracle - I would genuinely never have guessed that the food was concerned by anything other than maximising taste. 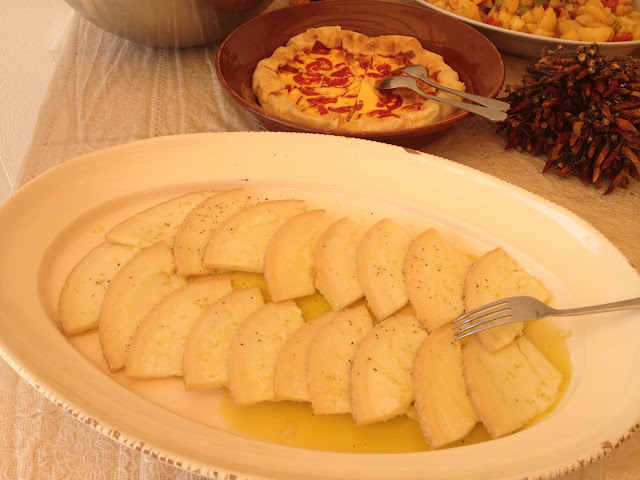 The chef, Ilaria, believes that food needs to be cooked with love. All I can say is she must have one big heart! 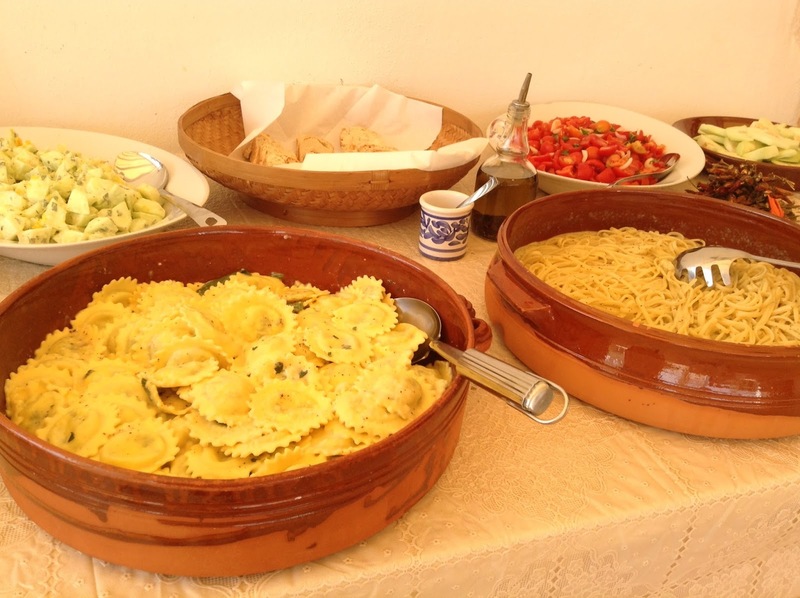 The food was honestly some of the best Italian food I have ever tasted and I loved the fact that almost all the fruit and vegetables were grown on the grounds. 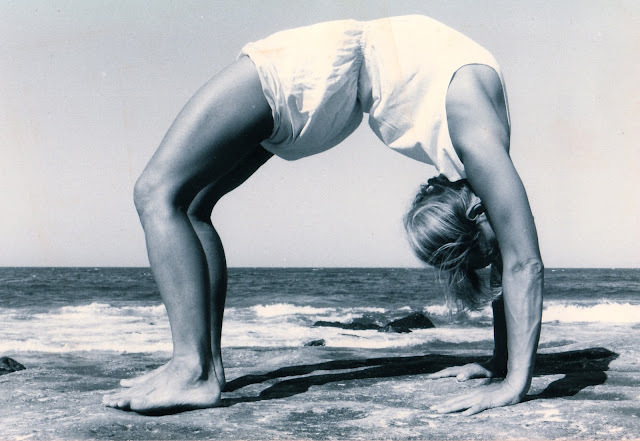 Being particular about our UK yoga teacher George meant Heather Elton had a hard act to follow. I have to say she was spectacular. Born in Montreal in Canada and now living in London, Heather is my kind of Yogi. Having practised yoga since 1986, she has trained all over the world with some of the most well respected teachers, delivering a dynamic and challenging practice and yet still enjoys a glass of wine or two over dinner! She had a particularly tricky group to manage - some complete beginners, some more advanced, but gracefully managed to keep us all happy, pushing every one of us to our limits. With 4 hours of yoga a day everyone vastly improved their practice and alignment over the course of the week and many achieved postures that had previously felt impossible. To anyone that has not done Yoga before I urge you to go and try it... today! It should be tough 'Yoga isn't about pleasure' but about making it work for you. You don't need to be super flexible, have great upper body strength or amazing core strength, although yoga will help you get all of these things. It also isn't just about the physical form and I know I will be in trouble with Heather if I'm not clear that asana - the physical practice of yoga - is just one element. In Heather's words 'the ultimate aim of yoga is love, liberation and freedom'. But you don't need to be a hippie or religious in order to appreciate the softer side of Yoga. Ultimately it's about being kinder to ourselves and those around us, basic qualities that lead us to contentment. For me the combination of light meditation (I'm still a long way from stopping the mind chatter), practising asana and relaxation by the pool was a match made in heaven. A week on I feel stronger, straighter and more determined than ever that my yoga practice will no longer be put to the bottom of the list.